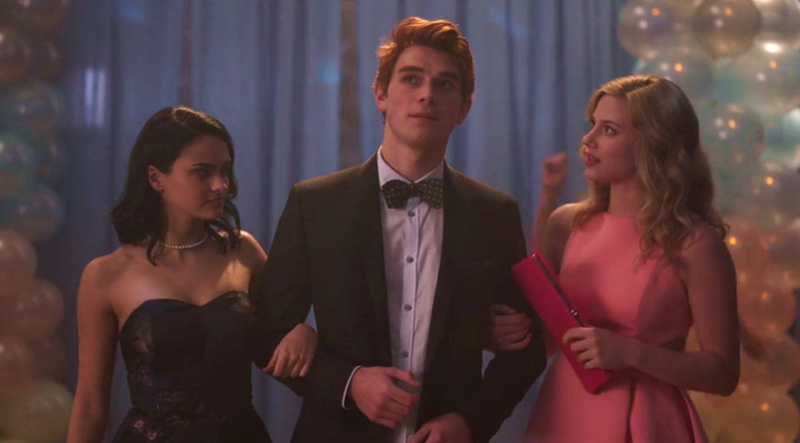 Riverdale is a show that feels simultaneously modern and retro, with dark elements that elevate it from teen soap to a tone-specific melodrama - in a good way. Archie, Betty, Veronica… You know the characters, but the new CW show has a brand new take on the ‘All-American’ comic. It’s modern, it’s dark, it has even been described as “Twin-Peaky” [which - surprisingly - is fair enough]. Riverdale follows the story of Archie Andrews, a teenager who is struggling to find himself [and figure out his complicated love-life] during the aftermath of a mysterious murder in town. When I first heard they were making Archie “dark”, I wasn’t convinced. I always assumed that an adaptation of these stories should have a whimsical, slightly absurd tone. Something similar to Dirk Gently [I still think that would work]. However, once I saw the finished product I was quite excited about the unexpected twist they put on it. I think Riverdale works because they had a clear vision of the show they were making. The tone is very well defined and it feels simultaneously modern and retro. In addition, the whodunit element keeps the story moving forward and adds another layer to what would otherwise be another triangle-flooded-teen-soap. Should You Watch it? Yes. It is a "teen noir" show, which we haven't seen since Veronica Mars. Plus they won me over with the Mad Men fat Betty joke. Off to a great start but just getting more interesting.. In order to watch his or her favorite television programs on the internet. we have dumped cable television as that was not supporting new upcoming television channels.